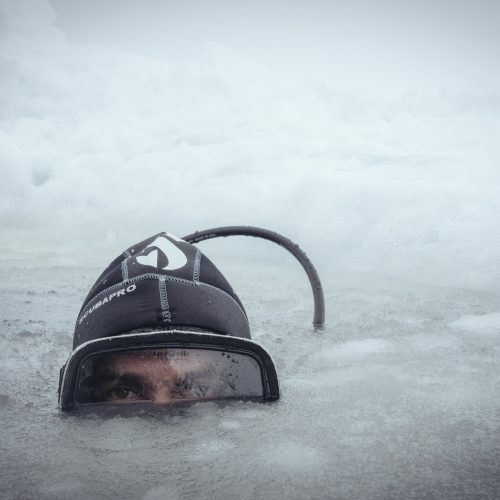 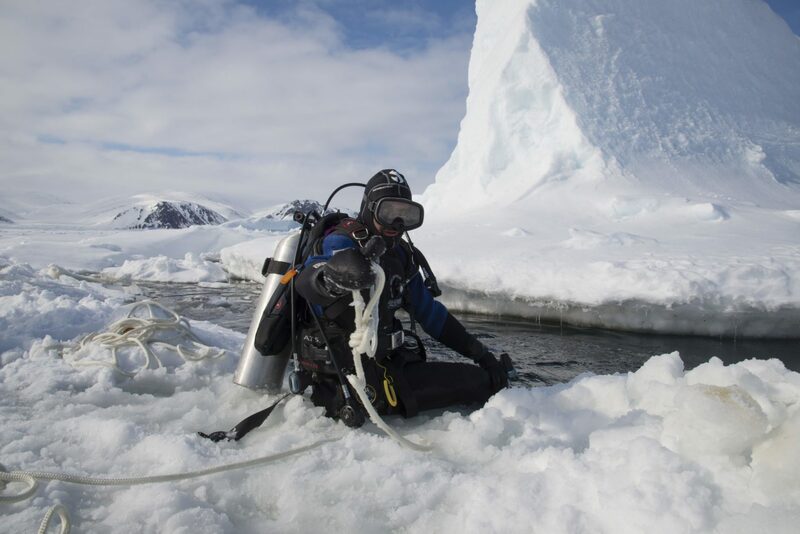 Arctic diving, with a skilled Arctic Dive Master, in the most incredible ice formations found anywhere on the planet – pack ice, cracks, the sea floor of the Arctic Ocean. 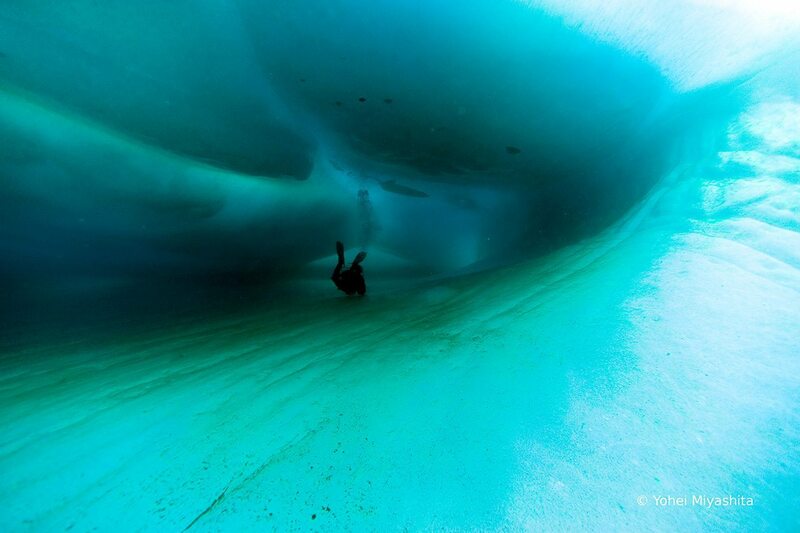 SEE MORE THAN JUST THE TIP OF THE ICEBERG: AN ICE DIVING EXPERIENCE LIKE NO OTHER! 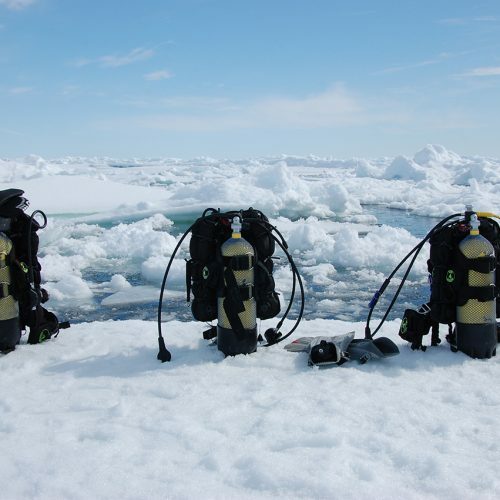 Explore the Arctic from above and below the ice with the best and only Canadian Arctic scuba diving operator. 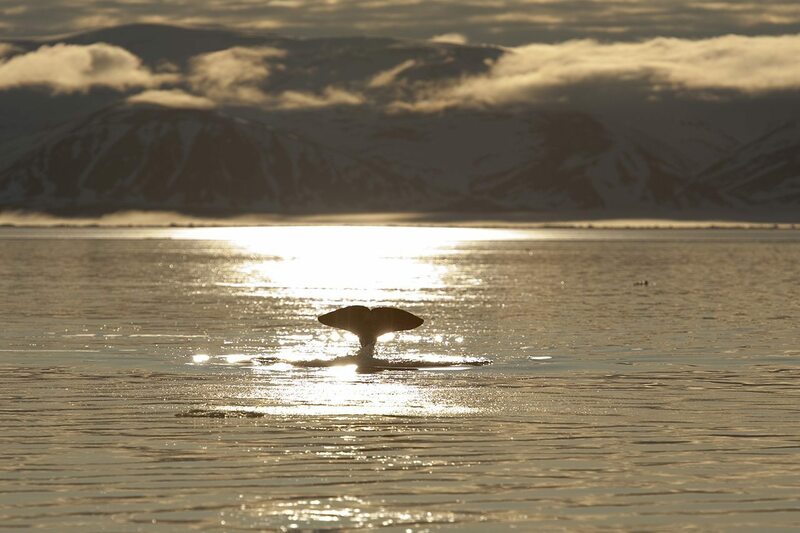 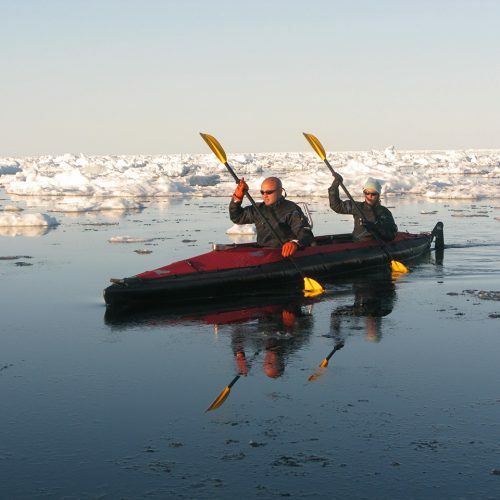 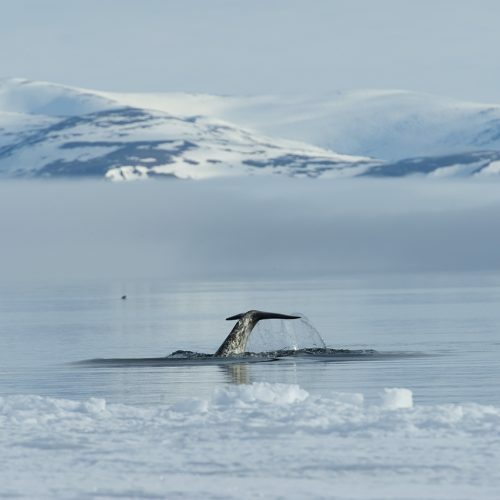 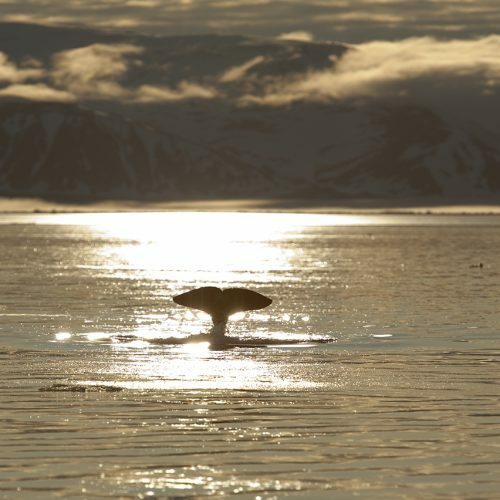 Immerse yourself in a world of icebergs, become an Arctic diver among the drifting pack ice, the Arctic sea floor, and fascinating wildlife including narwhal, bowhead whales and polar bears on our Baffin Island Expedition. 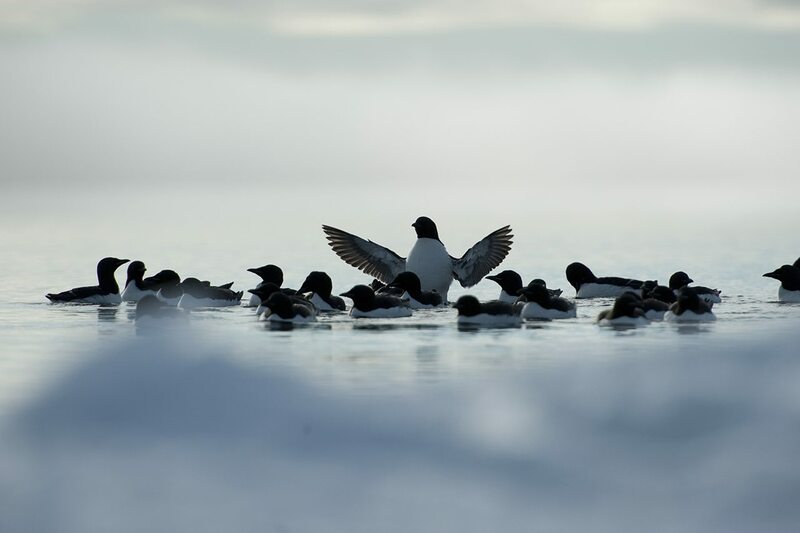 Enjoy the glow of 24-hour sunshine at the floe edge, as you experience some of the most unique, exclusive and spectacular Arctic diver experience on the planet. 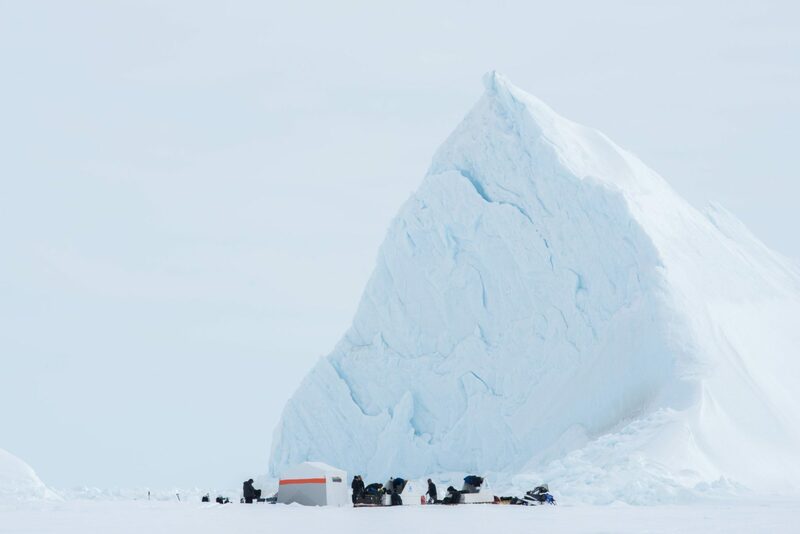 At the end of full days spent diving, take in dramatic landscapes of towering granite cliffs, mountains, glaciers, and icebergs on this Baffin Island expedition. 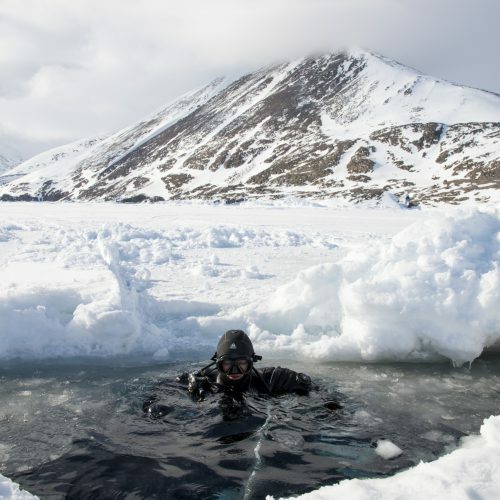 Join us on the ultimate Arctic diving experience – on the only ice diving trip of its kind in the world! 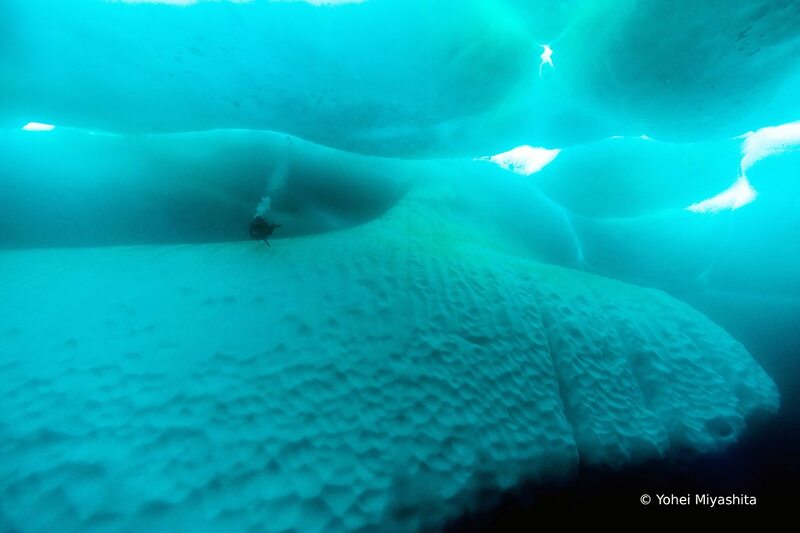 Discover a magical underwater world while ice diving in the Arctic while following a program of progressive dives. 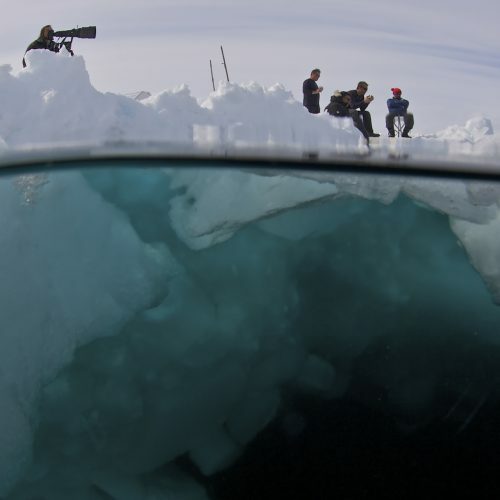 We may start off with simple dives in an open water environment off the floe edge and finish the trip with diving a grounded iceberg. 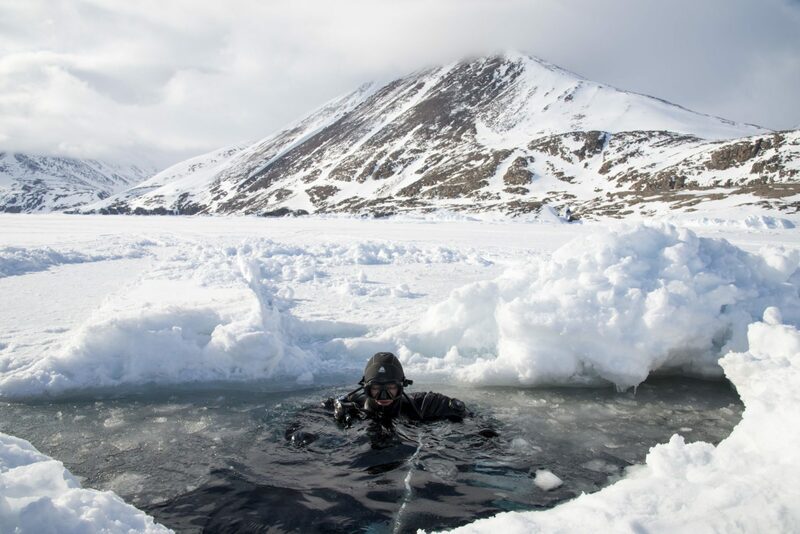 Arctic diving in a drysuit will require more weight than you are normally accustomed to, so we will inspect your equipment and ensure all is functioning correctly and that you are weighted for neutral buoyancy. 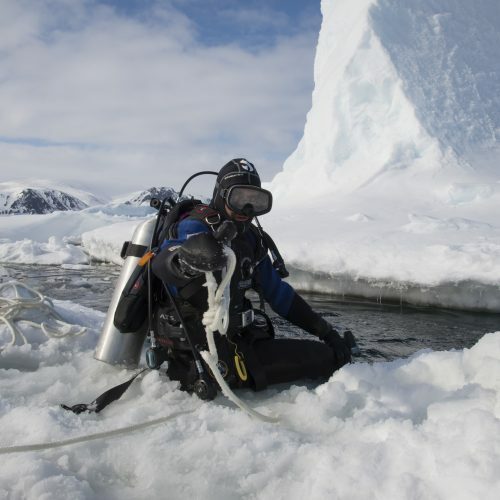 Each dive will progressively build on the previous dive. 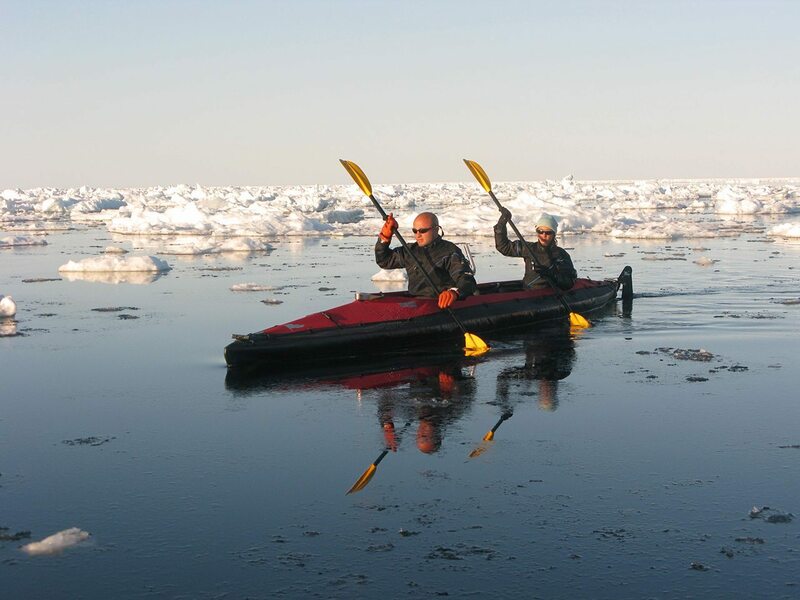 Upon landing in Pond Inlet, you will be welcomed by an Arctic Kingdom representative. 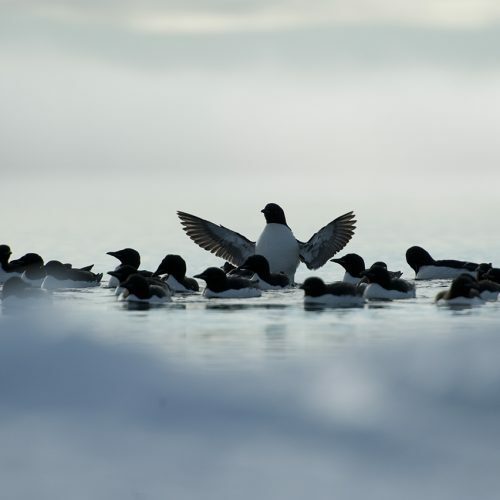 Participate in a Parks Canada orientation before boarding the private Turbo Otter plane for your short flight into camp. 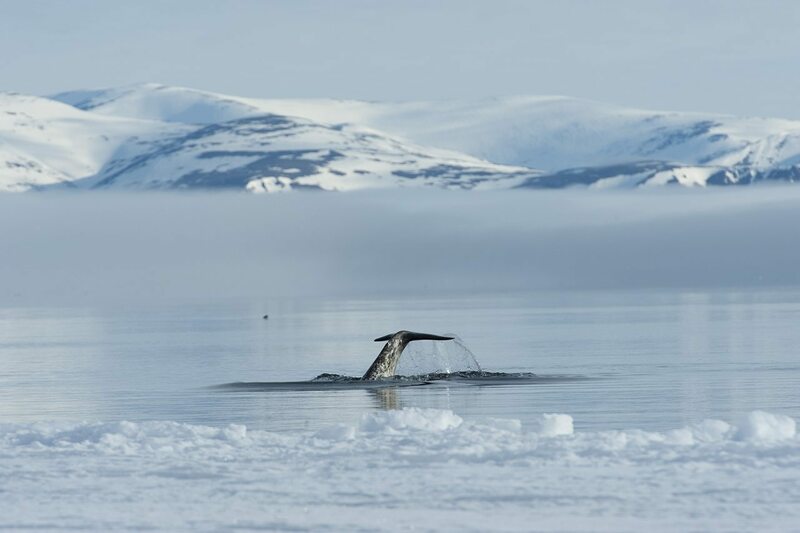 Have your cameras ready for stunning aerial views of the vast Arctic landscapes, including dramatic mountains and icebergs in Sirmilik National Park. 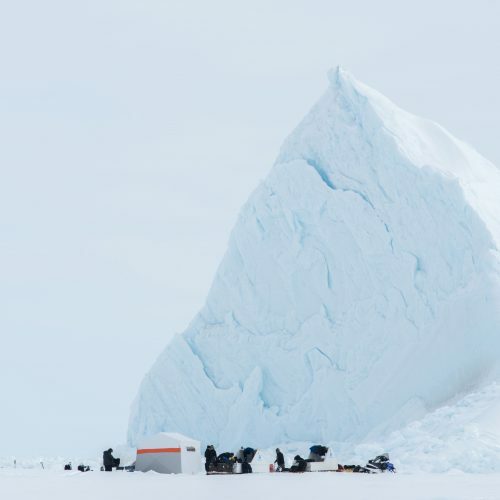 Settle in to camp and enjoy a hot dinner with your fellow adventurers. 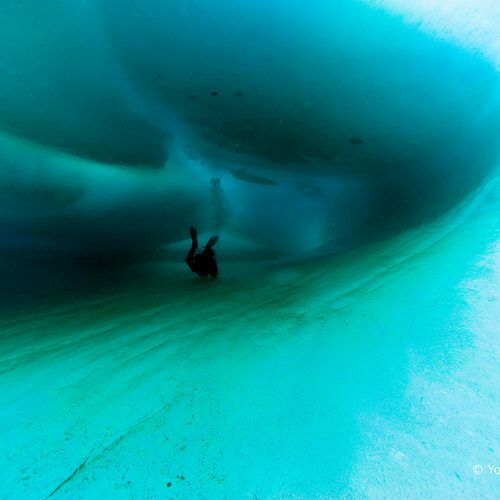 Spend these days reveling in some of the best diving you’ll ever experience. 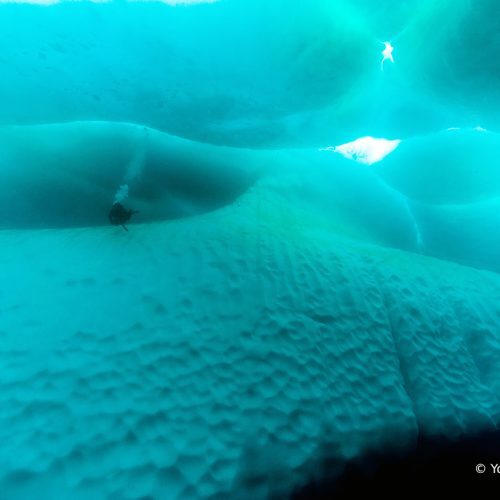 Following a program of progressive dives, you’ll enjoy new experiences every day as you become more comfortable with this unique underwater environment whilst diving in the Arctic. 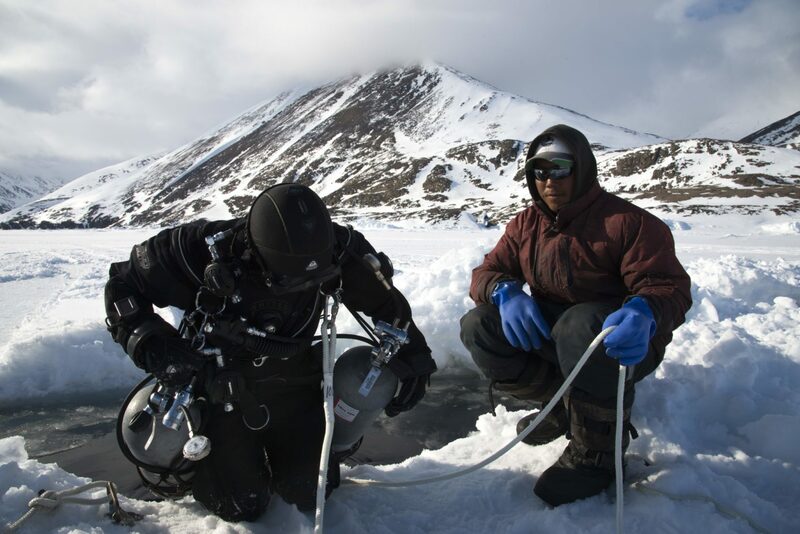 Explore the Arctic sea floor and discover urchins, starfish, and glittering jellyfish. 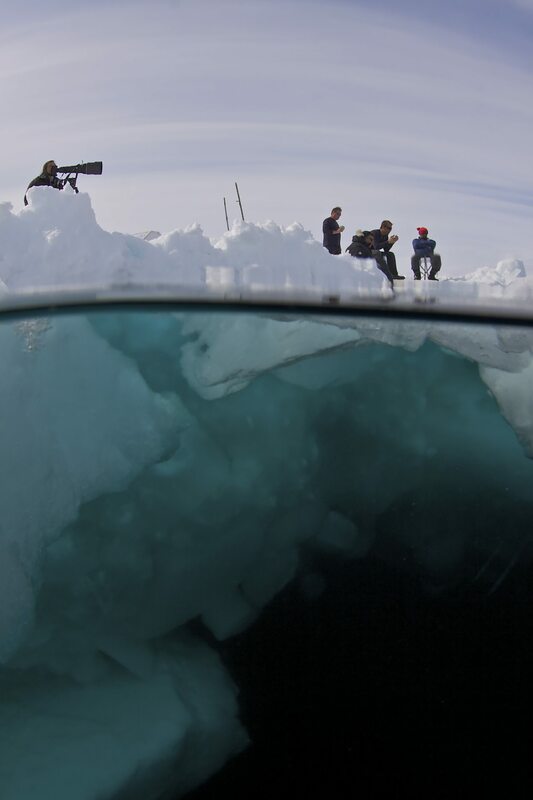 Witness the surreal world of blue and turquoise ice juxtaposed with the black depths below. 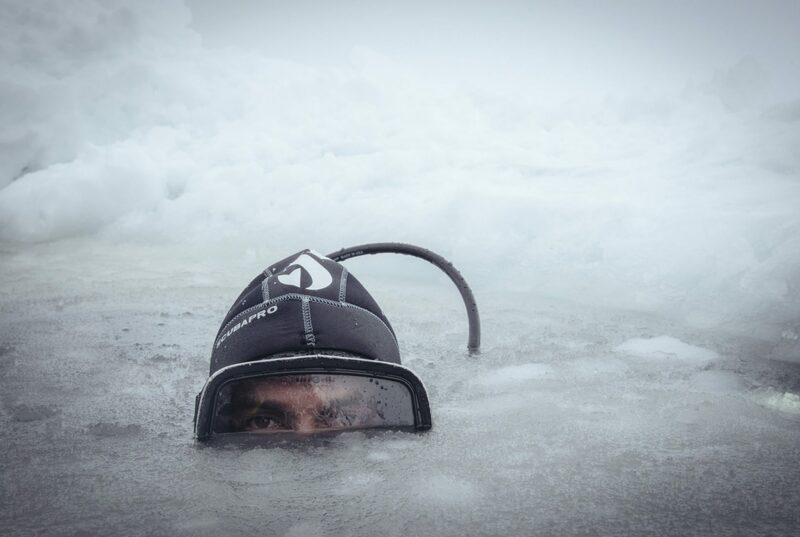 This is an underwater photographer’s paradise. 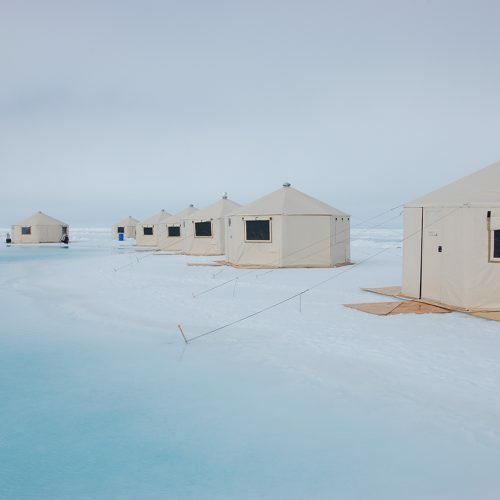 Shared washroom with hot water sinks and showers. 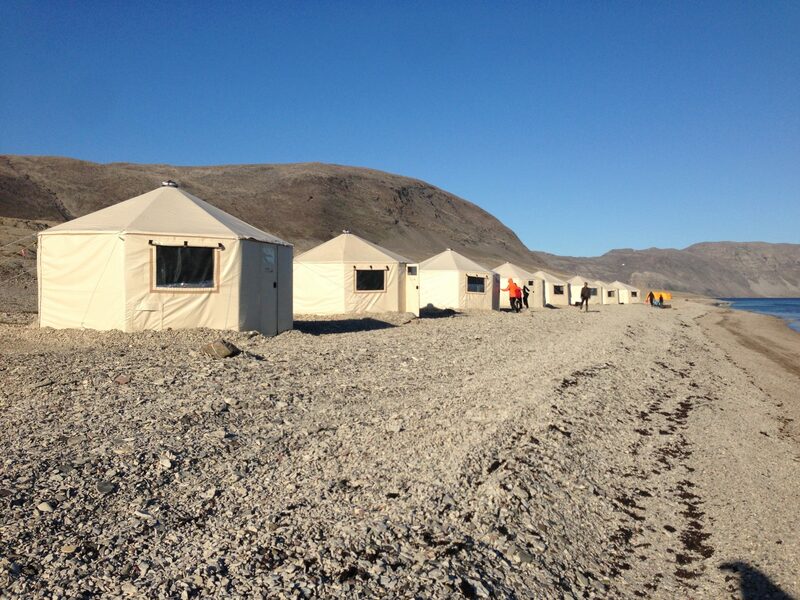 Accommodations with private washrooms are also available. 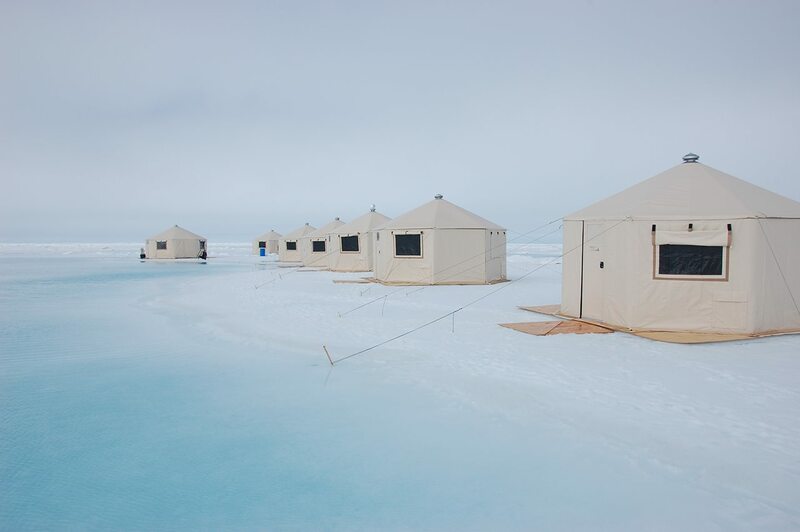 Note: these are eco-style, as you will be located in wilderness. 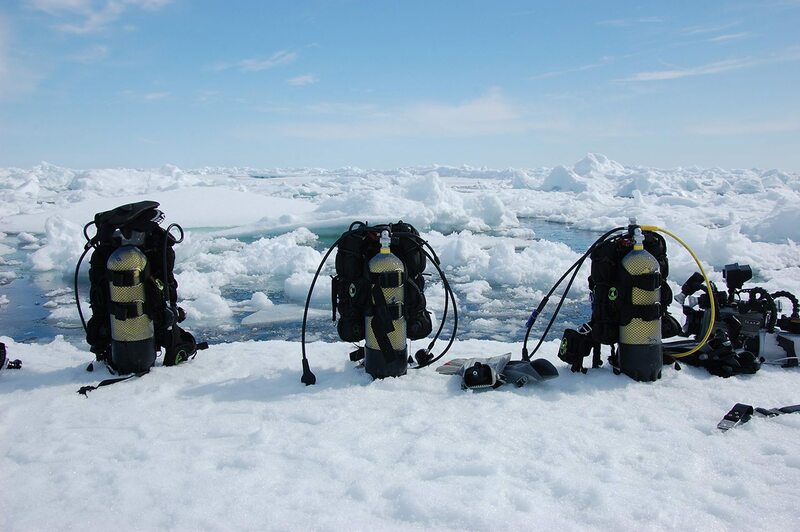 Arctic Ice Diving equipment including tanks, pony bottles, weights, weight belt, harness, all ice diving safety equipment, and remote DAN 02 kit. 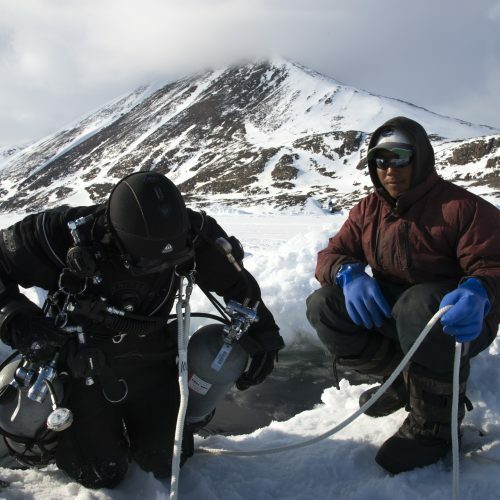 Drysuit and personal dive equipment may be available on request.